The Tata Kite compact sedan is in the works and the car is currently under real world testing on Pune roads. Tata Motors will launch the car with multiple engine options, later this year. While the car will serve as a replacement to the Indigo eCS compact sedan, and as the automaker’s least priced sedan, the looks of the Kite are a closely guarded secret. CarToq’s ace rendering artist has fleshed out a speculative render on how the Kite’s compact sedan variant will look like once it is fully revealed. The car is likely to be priced close to the Rs. 4 lakh mark, making it one of the most affordable sedan even built in India. In terms of looks, the new car from Tata Motors will hop on to a new design language that the automaker’s in-house design studio headed by Mr. Pratap Bose has conjured up. The new design language, first seen on the Zest, dumps the omnipresent Tata smiley for a more menacing appearance up front, indicating that it means business. The new styling cues reflect the automaker’s new found eagerness to take the bull by the horns so to speak, and begin winning back both market and mind share. A coupe-like steeply raked rear does its bit to shave off the visual bulk that a sub-4 meter compact sedan generally has on its flanks. A notchback design at the rear cannot be ruled out at this moment. A 1.2 liter-4 cylinder petrol motor, perhaps the REVOTRON turbocharged unit, and the 1.05 liter-3 cylinder turbo diesel engine first seen on the Indigo Manza Hybrid concept at the 2012 Indian Auto Expo, are likely to power the Kite compact sedan. Five speed manual gearboxes will drive the front wheels of the car while an AMT option could be in the scheme of things too. The Kite hatchback’s interiors have revealed that the dashboard will see a new design, similar to that on the Zest. Given that the Kite twins will share parts extensively, the interior layout of the hatchback is likely to be carried over to the compact sedan. Both cars will be produced at Tata Motors – Sanand, Gujarat. The facility that was originally set up to serve as a hub for Nano hatchback manufacturing, has currently been reduced to turning out about 15,000 units of the world’s least priced hatchback each year, a number that’s a fraction of the 240,000 units/year strong capacity that the factory was configured to deliver. The Kite twins will use up the excess capacity, giving Tata a shot at turning around its Sanand factory and giving auto parts suppliers in the adjacent vendors park a chance to recoup investments. 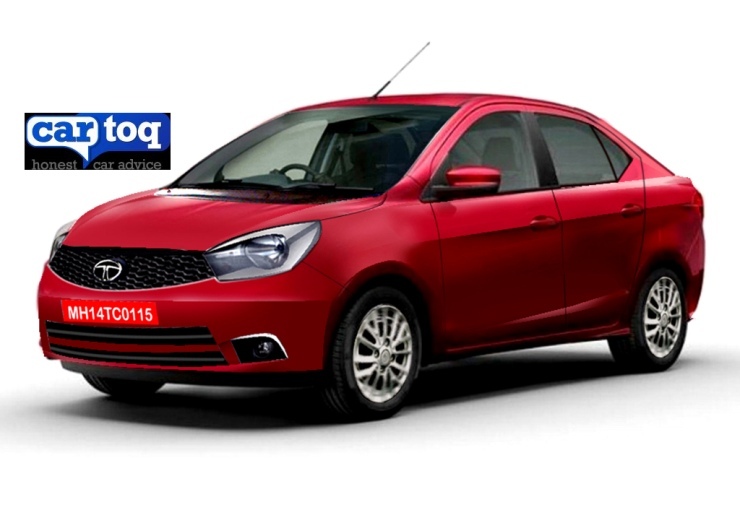 The Kite compact sedan is likely to gun for the cab market segment, as an affordable and spacious car.